Cogage is the mainstream arm of Thermalright, and if you have been around aftermarket coolers for any amount of time you know who Thermalright is. The new brand name is an acronym meaning ��Computer and Gaming Gear�? Currently Cogage only has two offerings, the MST-140 a down draft cooler for the LGA 775 and 1366 sockets, and the TRUE Spirit tower cooler for the LGA 1366 socket only. Today we will be looking at the TRUE Spirit, and enthusiasts will look at it and immediately see the cooler's heritage in its design. First, let��s look at the specifications for the TRUE Spirit. Quiet and powerful cooling due to multiple heat pipes and large fin area. Supports all clock Core i7. Proprietary Bent Winglet design to minimize airflow resistance. 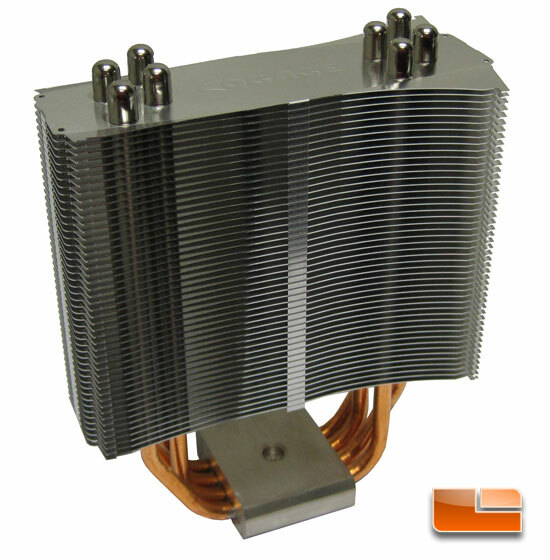 Utilizes 4 high quality 6mm heatpipes, strategically positioned to pick up the heat from the CPU. 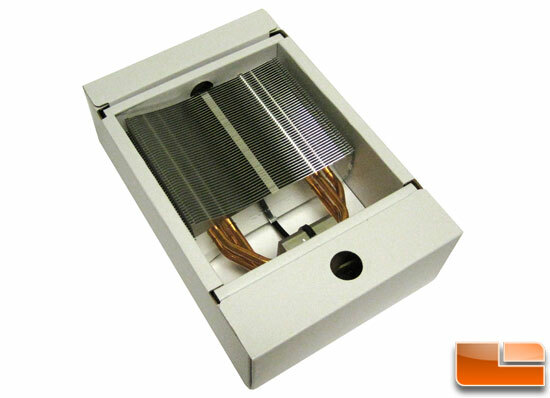 Stack of 48 Pieces of aluminum fins, can be covered entirely by a 120mm fan to absorb all in-coming air flow. 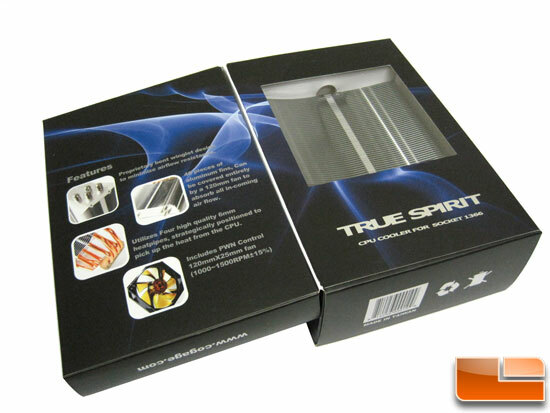 The TRUE Spirit comes in a nice looking package with some rather interesting art work. The packing opens up to show the features on one side and the cooler on the other. Pulling the cooler out we can see that TRUE Spirit is protected fairly well. It even has a black plastic wire tie holding the cooler base to the packing material.